It is a misconception that Cardinal George Pell is the head of the Catholic Church in Australia. Pell has never been the head of the Catholic Church in Australia. In fact there isn’t nor has there ever been a Head of the Catholic Church in Australia. Pell was appointed the Archbishop of Melbourne on 16 July 1996. Pell introduced ‘The Melbourne Response’ to handle complaints of child sexual abuse within the Archdiocese shortly after his appointment in 1996. In evidence to the Royal Commission in 2014 Pell acknowledged that the Melbourne Responses’ self-imposed cap of $75,000 was grossly inadequate. Despite this acknowledgement the Archdiocese is yet to overturn the cap. On 26 March 2001 he was appointed the Archbishop of Sydney. During his tenure in Sydney from 2001 to 2014 Pell increased the net worth of the Archdiocese’s assets by 87% to just under $1.3 billion. On 21 October 2003 he was proclaimed Cardinal-Priest after Pope John Paul II nominated him to the College of Cardinals. Pell was appointed by the Vatican and Holy See to be the first Cardinal-Prefect of the Secretariat for the Economy in February 2014. Since this time Pell has been responsible for managing the Vatican and Holy See’s annual budget. 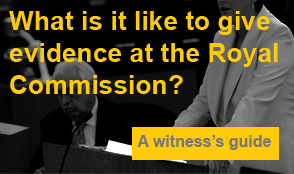 The Catholic Church’s Truth Justice and Healing Council is responsible for coordinating the Catholic Church’s responses to the Royal Commission into Institutional Responses to Child Sexual Abuse. The Council’s CEO is Mr Francis Sullivan. The Truth Justice and Healing Council defines the Catholic Church in Australia as an Institution comprising an extensive series of assemblies. More specifically, the Catholic Church consists of a number of Archdiocese, Diocese, religious institutions and societies. Kelso Lawyers have represented victims in claims against a broad number of Catholic Church assemblies. This includes the Archdiocese of Sydney, Archdiocese of Brisbane, Archdiocese of Perth, Diocese of Maitland-Newcastle, Diocese of Rockhampton, Diocese of Townsville, Diocese of Canberra-Goulburn, Diocese of Wollongong, Christian Brothers, Marist Brothers, De La Salle Brothers, Patrician Brothers, Salesians of Don Bosco, St John of God Brothers, Servite Friars, Sisters of Mercy and Daughters of Charity. The offenders include priests, Brothers and nuns and lay persons employed by the relevant orders. Kelso Lawyers have represented victims whose offenders have been convicted for abusing them. This includes victims of Gregory Sutton, a former Marist Brother, Father Denham a priest within the Diocese of Maitland – Newcastle, Martin Harmata, a former Patrician Brother, Frank Klep a former priest of the Salesians of Don Bosco, Father Neville Creen a Catholic Priest of the Diocese of Townsville and Father Patrick Cusack a Catholic Priest of the Diocese of Canberra-Goulbourn. Kelso Lawyers are also aware that a number of other offenders that abused clients are subject to current police investigations; specifically regarding the abuse they perpetrated against our client and others.